You may have heard of "lean" as a way for organizations and their management to reduce waste. Developed by the Toyota Motor Corporation, the idea is to streamline operational activities to lower the amount of non-value activities which reduce efficiency. Many times the six sigma approach is combined with lean and called the Lean Six Sigma model for quality and efficiency improvement. It uses the five-step, Define-Measure-Analyze-Improve-Control (DMAIC ), approach to process improvement. As with any group effort, you need to identify the action needed, task force required, and important models for your supply chain lean initiative program. 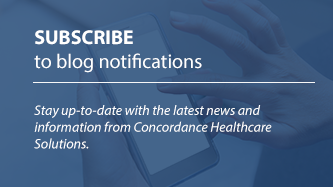 Concordance Healthcare Solutions offers four key elements for the implementation of your organization’s successful supply chain lean initiative. Your champion should be at the administrative level and have training leading teams in lean initiatives. It’s important that your lean supply chain initiative team members be internal personnel. This adds strength and sustenance to the program. Later, additional champions can be identified to expand on the Phase 1 accomplishments. Regular onsite meetings for your work teams should be conveniently timed and located. These meetings will drive ideas and changes that will make your lean supply chain initiative a success. Monitoring and sharing progress should be visual, using whiteboards and signage that tracks the program’s progress. A sigma score is a way to measure process capability; if your program has a low sigma score, you can schedule a Kaizen Event. At one or more meetings, upper management reviews the supply chain initiative and information is shared about what’s working and what’s not working. The meeting environment should be inspirational and comfortable as improvements and ways to refocus are discussed. Small team training is important in order to realize maximum value from the introduction of Six Sigma techniques. Levels of formal and informal training will help your teams with Kaizen Events. 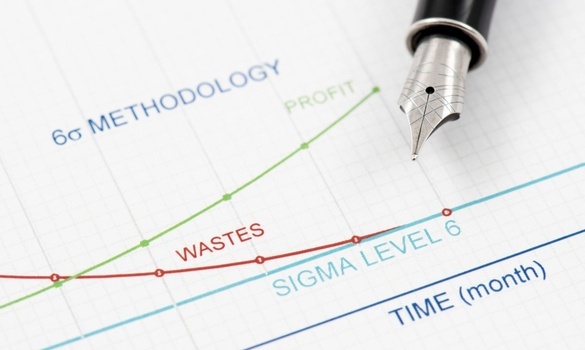 Data is the key to success in using lean six sigma initiatives to reduce waste. Metrics of past and present costs and supply chain processes set the basis for evaluating the team’s progress. Meaningful data provides your supply chain lean initiative with the information needed to plan a waste reduction program. Concordance Healthcare Solutions is one of the largest independent healthcare distributors in the country. Our commitment is to help community health organizations reduce costs while never compromising patient care. With our Provider Solutions tools we can provide the information and structure to help you develop a customized, lean supply chain strategy. Contact us to learn more.